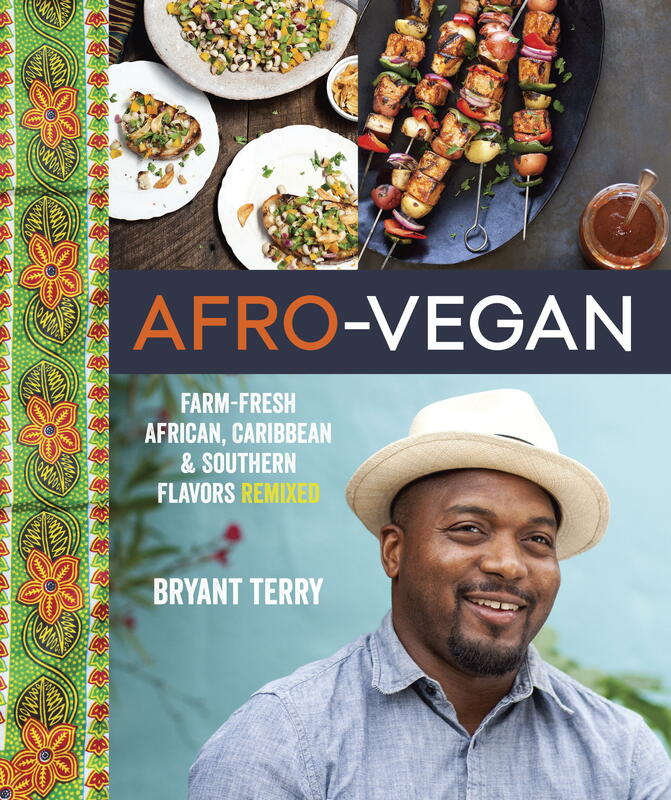 Forging a new direction in vegan cooking, rising star chef, food justice activist, and author Bryant Terry draws inspiration from the Caribbean, North and South America, and the entire African continent in his new book Afro‐Vegan. Known for his creative and delicious vegan dishes inspired by African‐American cooking, his new landmark cookbook features 100 modern and enticing vegan recipes reworked and remixed with favorite staples and classic dishes from Africa and the African diaspora. For anyone interested in improving their well‐being, Afro‐Vegan‘s groundbreaking recipes offer innovative, plant‐based global cuisine that is fresh, healthy, and delicious. Terry interweaves his personal memories with an exploration of key African ingredients popular in Caribbean and Southern dishes—like okra—tracing their history and giving them cultural context. Accompanying the recipes are suggested musical tracks (from Mos Def to Mayer Hawthorne), book and film recommendations, and Terry’s insights about building community around the food we prepare and eat. By keeping one eye on contemporary health concerns while presenting food that honors the heritage of the African diaspora, Afro‐Vegan empowers people to choose wholesome foods to improve the physical and spiritual health of their families and can be used as a tool for addressing the preventable diet‐related illnesses seen affecting African‐Americans, including heart disease, hypertension, and type 2 diabetes. The following is an excerpt from the book “Afro-Vegan: Farm-Fresh African, Caribbean & Southern Flavors Remixed” by Bryant Terry. Copyright 2014 by Bryant Terry and Paige Green. Reprinted by permission of Ten Speed Press. No part of this excerpt may be reproduced or reprinted without permission in writing from the publisher. Support your local bookstore, or buy the book through our affiliate link at Amazon.com. When my paw paw cooked sugar snap peas he grew in his garden, he always prepared them simply, with a little butter. 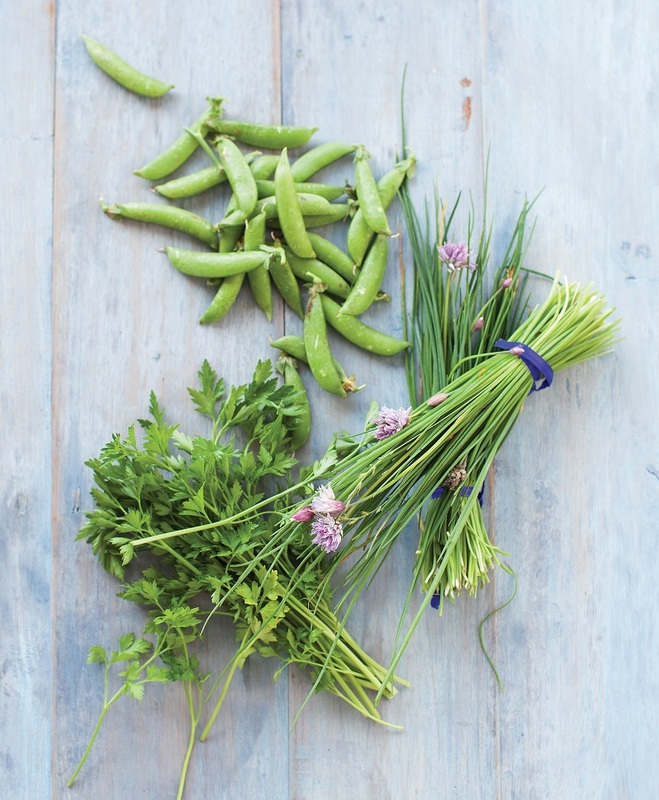 I like to eat mine with lots of spring herbs after a quick sauté in olive oil. Put the chives, parsley, and cilantro in a small bowl and mix well. Put about 12 cups of water in a large pot and bring to a boil over high heat. Add 1 teaspoon of the salt, then add the sugar snap peas and blanch for 30 seconds. Drain well. Heat the oil in a large skillet over medium heat. Add the garlic and sauté until fragrant, 2 to 3 minutes. Add the peas and the remaining 1/2 teaspoon salt, increase the heat to high, and cook, shaking the pan and tossing vigorously, for about 1 minute. Transfer to a large bowl, add the orange zest and lemon juice, and toss until the peas are evenly coated. Serve topped with the chive mixture, a few grinds of white pepper, and the sesame seeds. 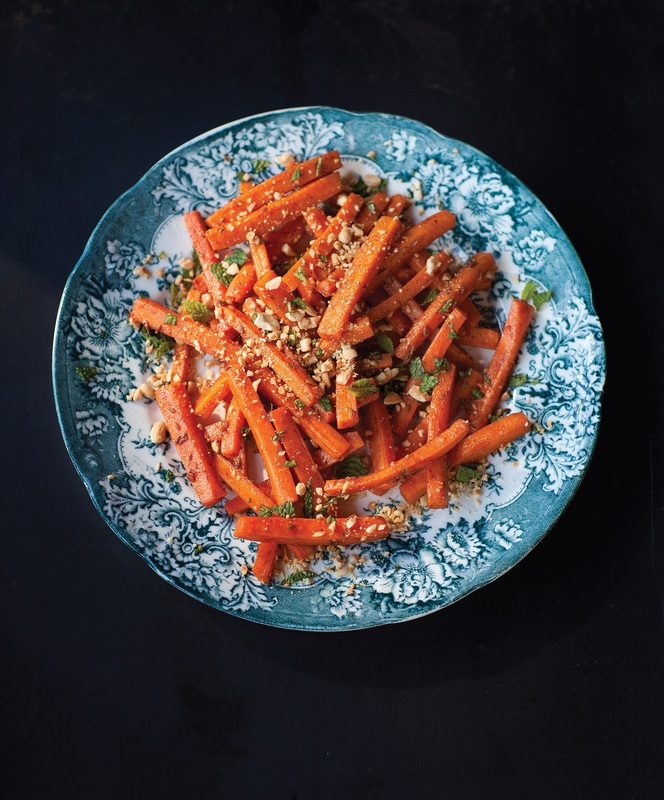 This dish is a mashup of glazed carrots, which are popular in the South, and Moroccan carrot salad. The savory coating is rich, intense, and delicious, and as you can see in the photo, this is a gorgeous dish. Preheat the oven to 425°F. Line a large roasting pan with parchment paper. When the water is boiling, add 1 tablespoon of the salt, then add the carrots and blanch for 1 minute. Drain the carrots well, then pat them dry with a clean kitchen towel. Put the oil, lemon juice, maple syrup, cinnamon, garlic, cumin seeds, and the remaining ½ teaspoon salt in a large bowl and mix well. Add the carrots and toss until evenly coated. Transfer to the lined pan (no need to clean the bowl). Cover with aluminum foil and bake for 10 minutes. Remove the foil, gently stir with a wooden spoon, then bake uncovered for about 10 minutes, until the carrots start to brown. Return the carrots to the bowl. Add the cilantro and toss gently to combine. Serve garnished with the peanuts and mint. Photo of Bryant Terry by Paige Green. 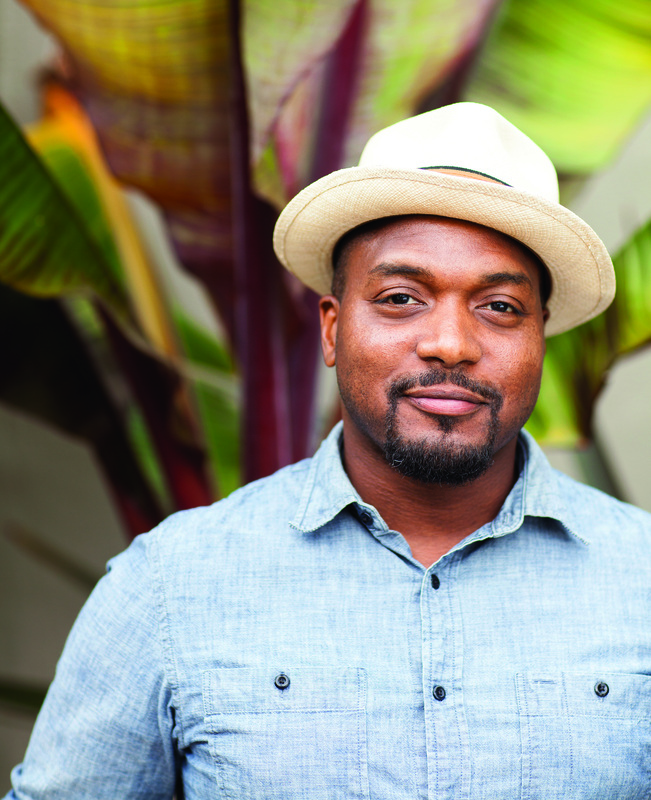 Bryant Terry is the author of The Inspired Vegan and the critically acclaimed Vegan Soul Kitchen. Along with Anna Lappe, Bryant co‐authored Grub, which the New York Times called “ingenious.” He is also the host of Urban Organic—a multi‐episode web series that he co‐created. Bryant’s work has been featured in the New York Times, Gourmet, Food & Wine, O: The Oprah Magazine, Essence, Yoga Journal, Vegetarian Times, and most recently the San Francisco Chronicle. He has made dozens of national television and radio appearances including the Martha Stewart Show, Emeril Green, The Splendid Table, and Morning Edition. Bryant graduated from the Chef’s Training Program at the Natural Gourmet Institute for Health and Culinary Arts in New York City. He holds an M.A. in History from NYU and a B.A. with honors in English from Xavier University of Louisiana. He lives in Oakland, California. This entry was posted in Eat and tagged African, Caribbean, carrot, cookbook, Eat, recipe, salad, Southern, sugar snap peas, vegan. Bookmark the permalink.